Dive into our pool care section and pick up a few staples to keep your pool or spa clean and algae free. 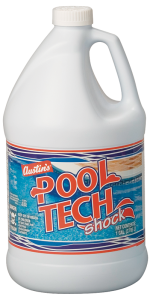 Austins Pool Tech Shock is a sanitizer that will help keep your pool clean. Swimming pools need to be shock treated weekly throughout the summer in order to remove chloramines from the water, especially since algae formation is the highest during periods of heavy pool usage and hot weather. 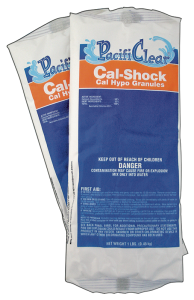 Pacific Clear 3-Month Algaecide non foaming nonmetallic formula kills and prevents algae. Cal-Shock multipurpose calcium hypochlorite granular provides economical chlorination. All 3 of these products are available in store at great prices so jump in…the water is fine.